Planning your 4th of July vacation? 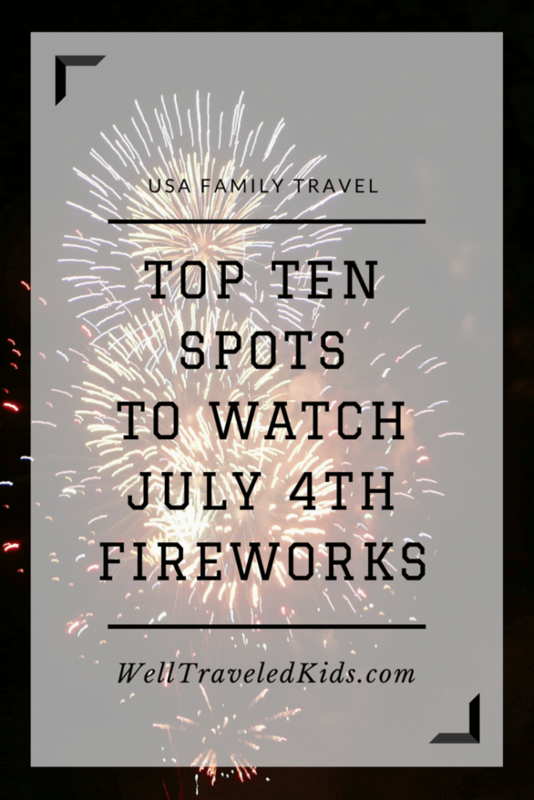 Find the best places in the country to see fireworks and experience a top-notch vacation with your family. Nothing beats a vacation with fireworks that are perfect for families with kids. There are lots of places to see fireworks with kids in the USA, but which cities are best? 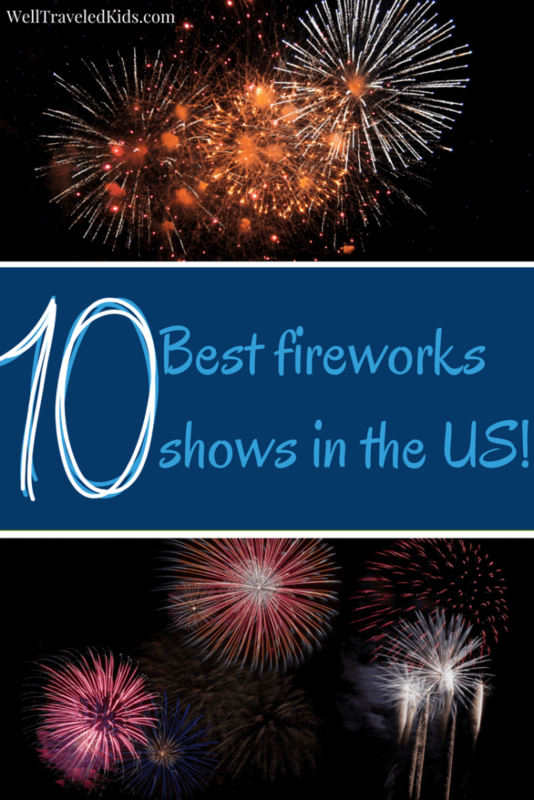 Here’s our list of the top 10 places to see fireworks with kids in the USA! I have to say based on my personal experience there’s no better place to celebrate our nation’s freedom than our National Capital. Watching the fireworks at the National Mall is a once-in-a-lifetime experience for you and your family. There are many places around the city to view the spectacular display. If you can’t find a seat on the Mall, try the Lincoln Memorial, Jefferson Memorial, West Potomac Park, East Potomac Park, or George Washington Memorial Parkway (in Virginia). Although fireworks are a staple throughout the summer at Navy Pier, the top prize goes to the celebration presented by Miller Lite on the 4th. From 9:30-9:45, enjoy the view over Lake Michigan synchronized to music. Cruises are available to watch the show from the waters of Lake Michigan. Book early, and enjoy this experience in the Windy City. This show is so incredible that it is broadcast on NBC. You’re experience will be even better in person with this 25 minute firework show. See the fireworks anywhere in Brooklyn, Manhattan, and Queens with unobstructed views of the East River. The show will take place on the East River, and if you’re close enough, you’ll see some family-friendly star-studded performances before the fireworks begin. 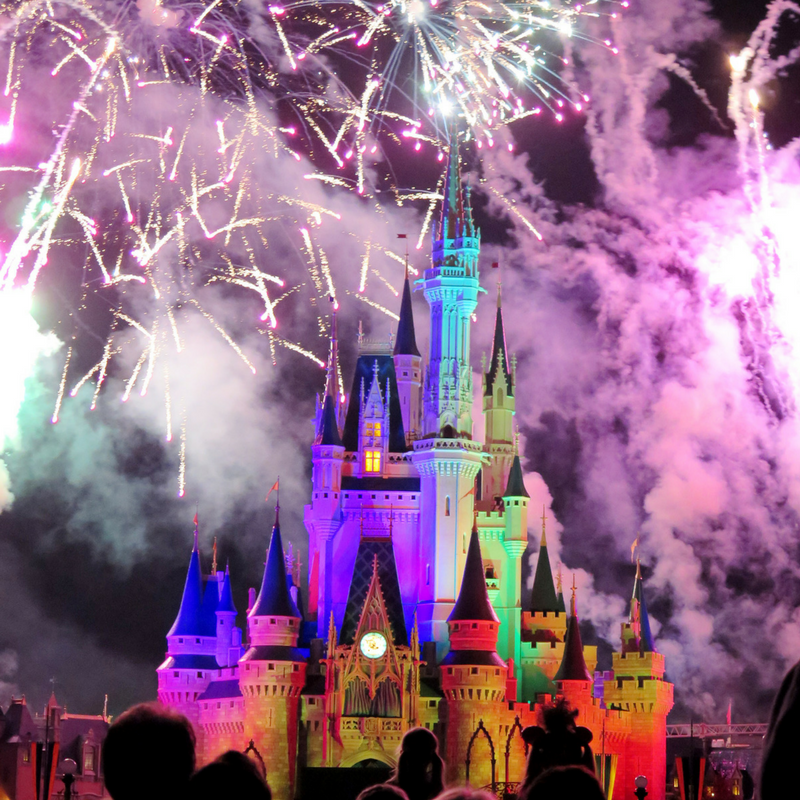 The most magical place on earth has a fireworks show that lives up to its name. Fireworks are launched from the Magic Kingdom park, but you can certainly park outside the parks. Try the view from some of the resort hotels or watch the Epcot and Hollywood Studios shows from the Disney Boardwalk. Keep in mind, the property will be very busy, so snag your spot early. Make the 4th of July a day long event with activities, music, and culture for the whole family in LA. Doors open at 2 p.m., and fireworks begin at 9:30 p.m. In the center of the park is a magnificent water fountain, allowing relief from the heat for your children. Splashing and playing is encouraged. Your family will experience stunning fireworks along the San Diego skyline. Cruise packages range from gourmet dining experiences to spectator packages. Reservations are highly recommended for this popular way to see the San Diego Bay fireworks from the water. You will not be disappointed. The Boston Pops is synonymous with 4th of July celebrations. The 20 minute fireworks show is accompanied by the famous Boston Pops Orchestra with musical performances from other superstars. This year’s performers include Andy Grammer, Melissa Etheridge, and Leslie Odom, Jr. (Hamilton). Admission is on a first-come, first-serve basis, so it is important to arrive early. Enjoy fireworks atop the USS Yorktown’s Flight Deck. This extraordinary experience includes a VIP experience with meal and beverages included or a flight deck observation ticket with food and drinks available for purchase. The show can also be viewed from the shore. This is a family-friendly event complete with children’s activities like jump castles and face painting onshore before boarding the flight deck. Sponsored by Coca-Cola, this fantastic event is family-friendly, complete with climbing wall, bungee station, inflatable slide and face painting stations. Begin your morning with some yoga, follow up with a meal at one of the outstanding food trucks with gourmet delights, and end with 1970s icons Grand Funk Railroad entertaining before the fireworks show. Visit the San Juan Islands in Washington State for a 4th of July and vacation experience beyond your expectations. Enjoy the parade, fireworks, and the location in one of the hidden gems in the United States. Trip Advisor calls San Juan Island one of the Top 10 best islands in the United States. 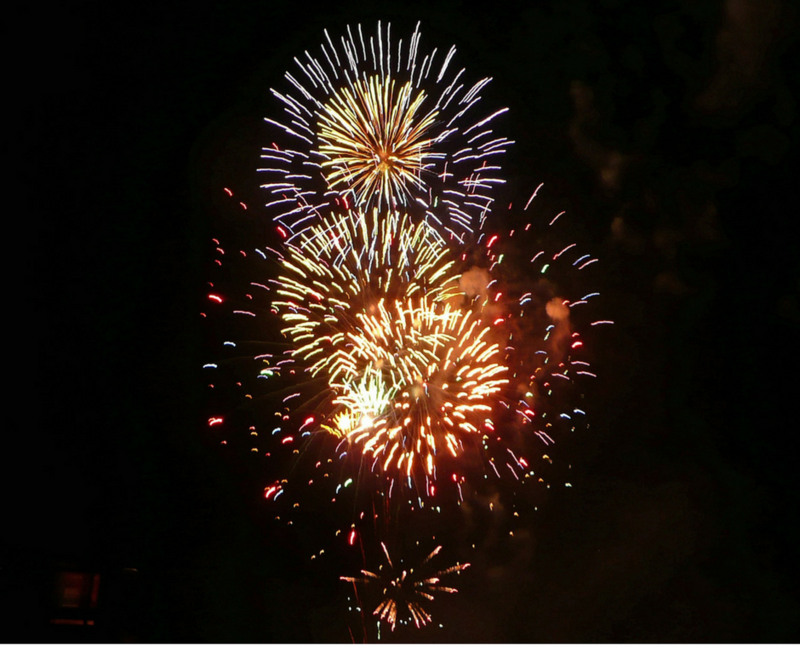 Book a 4th of July Fireworks and crab dinner cruise for you and your family. If you’re looking for spectacular fireworks and an amazing vacation experience, these top 10 places to see fireworks in the US are your best bet. Where will you travel for the 4th of July? Want to plan for next year? Pin this list of top places to see fireworks for later!